A lot of us make the mistake of arrogantly assuming that we know better than our doctor when it comes to our bodies. News flash: We don’t. It is always wise to listen to your doc because she knows what she’s doing. If you’ve been given a set of instructions, follow them to the T, no matter how silly or unnecessary you may find them. You know why? Because there’s a reason behind those instructions. And the reason is your wellbeing. If you’ve been told to not lift weights for x weeks, then don’t lift them. Not listening to these instructions will result in exactly the opposite of what you’re hoping for – re-opening of your wounds, bleeding and even infection. It doesn’t matter how you feel. If you want to work on how to heal stitches faster,let your ego take a backseat and visit your doctor, just like she asked you to. That’s because these visits let your doctor asses your physical health, beyond the symptoms that you are able to perceive. If nothing at all, your medication dose will have to gradually be lowered, so you gotta visit her and show her the condition of your stitches so that she can come to a professional conclusion about your new dosage of medicine. Irrespective of where your stitches are, you should never make any sudden movements because they increase the chances of their opening. Keep your movement to a minimum. Needless to say, this means zero physical activities for the foreseeable future. And also, no heavy weight lifting. However, your physician will encourage you to walk (slowly) because this not only prevents blood clots from forming, but also helps prevent medical complications like deep vein thrombosis from occurring. You’re recuperating. Your body needs rest and your stitches need time to heal. And in order to let your stitches heal faster, you need to just let them be. Have regular periods of rest. Keep movement to a bare minimum. If at all possible, excuse yourself from college or school and stay at home till your wound’s healed. 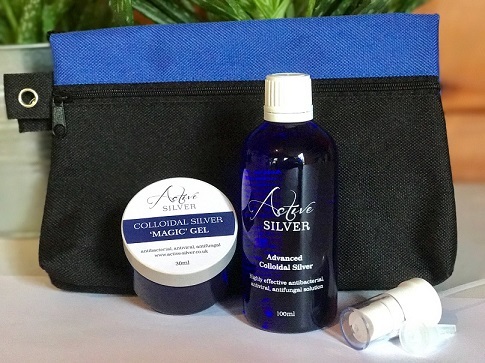 Now do keep in mind that while there is no conclusive proof, many physicians swear by the miracle that is colloidal silver. Its naturally occurring antibiotic properties kill bacteria on your stitches, without hindering the growth of newer skin cells. The best part is that it doesn’t burn or sting one bit! Do read up on its side effects before applying it, though. In terms of how to heal stitches faster, it’s important to keep your wound dry. Warm/moist stitches not only increase their chances of opening, but also encourage the growth of bacteria which end up infecting your wound. This is why you should avoid getting it wet at all costs. If you need to clean it, use a damp towel or baby wipe. Don’t believe the old wives’ tale about open wounds recuperating sooner. It’s BS. If you want to know how to heal stitches faster,then remember to keep it covered till your doctor asks you to open it. 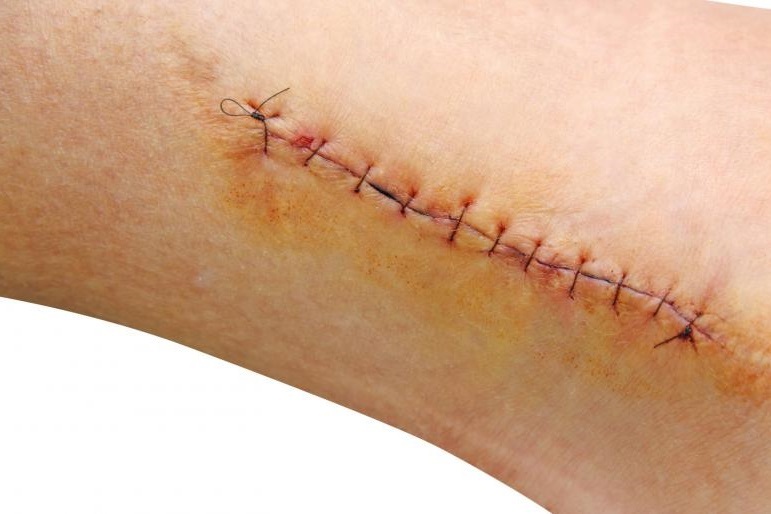 Several studies have shown that wounds (and by extension, stitches) heal faster when they’ve been covered. However, if the stitches are on your scalp then there is no need to keep it covered. NEVER scratch your stitches. You will only make it worse. No swimming for you. Not until your stitches have been removed. No playing any sports. 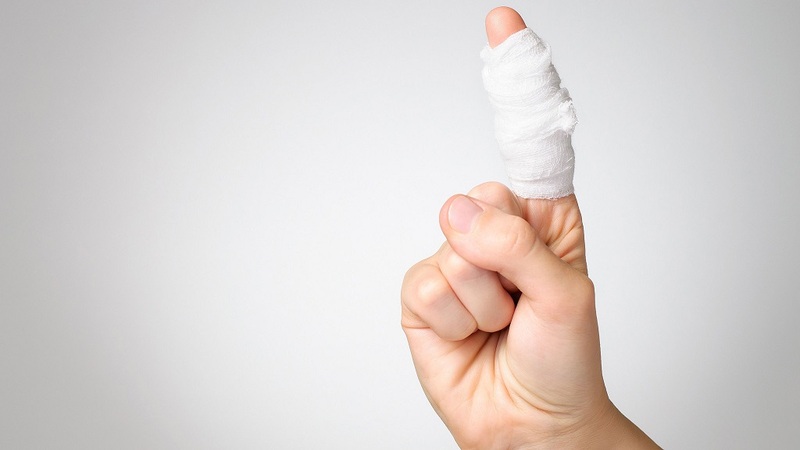 Not only will they put pressure on your stitches, but accidents might occur which will reopen your wound. Say no to sugary foods. They result in fluctuation of your blood sugar levels which might lead to fatigue. No sports drinks. They retain water, which means that your body will only swell more. If a child has stitches, make sure she’s kept away from sand and mud (which can easily enter her wound) as well as paints. If you show any of the signs mentioned above, make sure you make an appointment with your doctor.